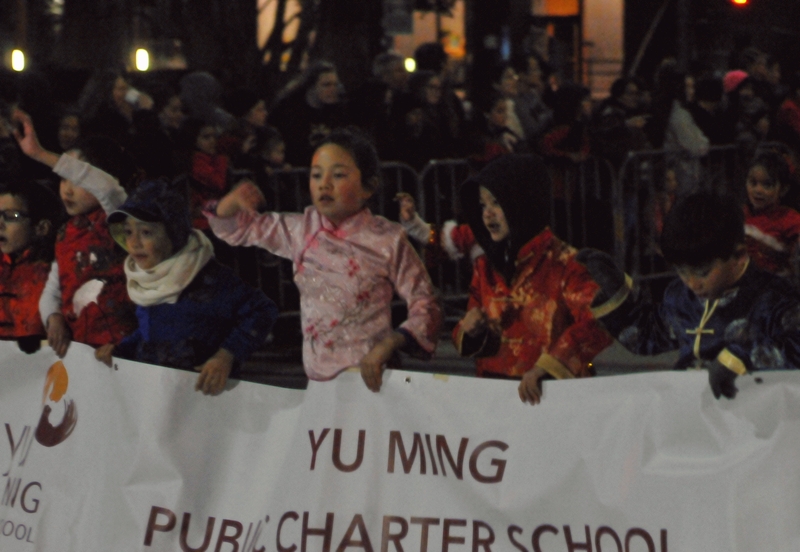 The banner for Yu Ming Public Charter School was carried by many happy children. 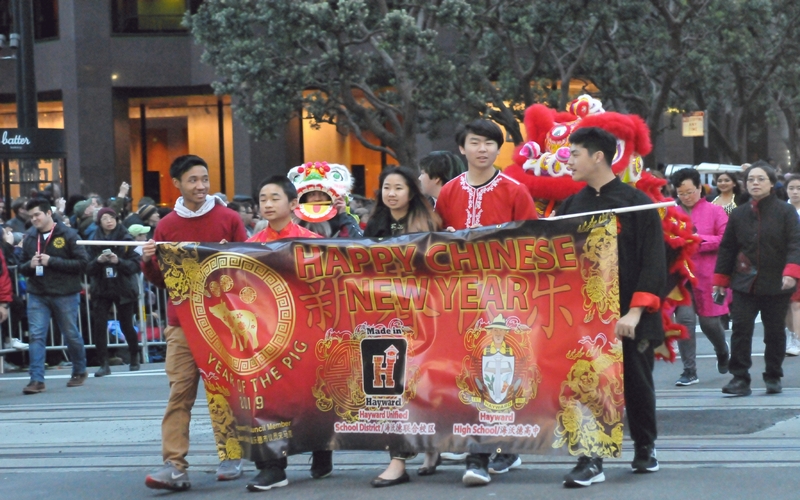 The banner for Hayward High School was one of the more lavishly designed banners. 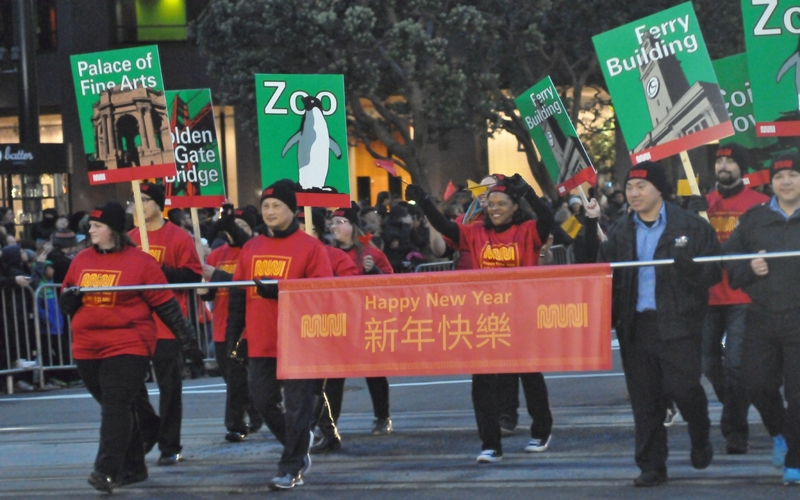 The banner for the San Francisco Municipal Railway (MUNI) was understated, but backed up by many signs showing destinations reachable by MUNI. 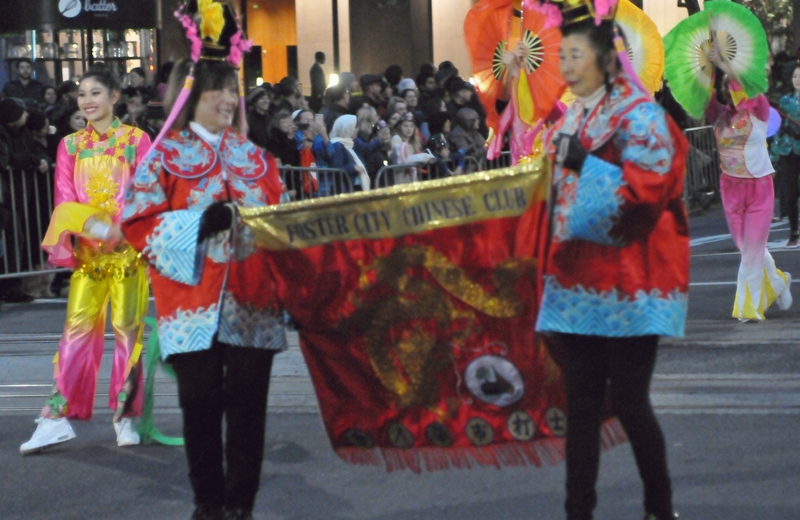 The banner for the Foster City Chinese Club was smaller than most. 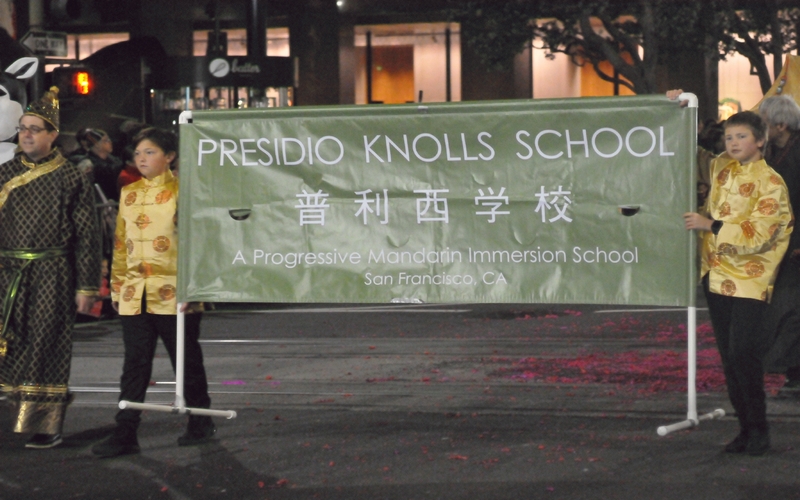 The banner for Presidio Knolls School had feet so it could be set down at moments of rest. 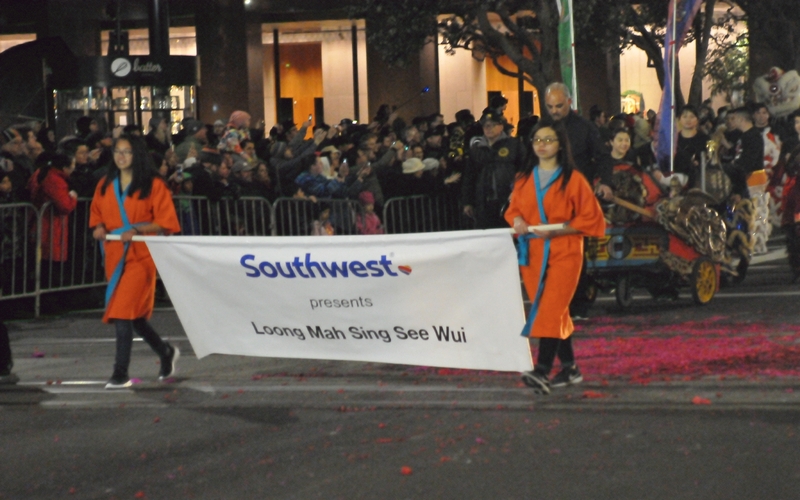 The banner for Loong Mah Sing See Wui was sponsored by Southwest Airlines. 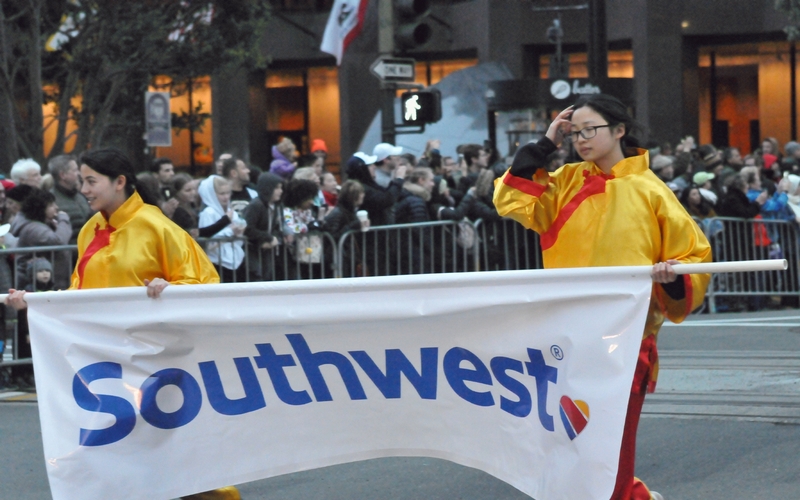 The first banner in the parade was the one for Southwest Airlines , the sponsor of the parade. 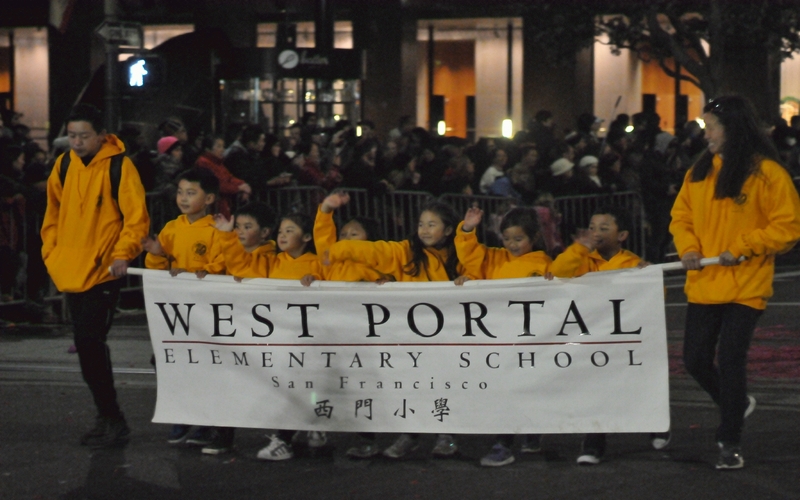 The banner for West Portal Elementary School was carried by many waving children.